We’re all appalled at the senseless brutality of the shootings of ten Amish girls in Pennsylvania in October 2006 which resulted in five children dying, five seriously wounded, and the suicide death of the shooter. This incident is just one of thousands that happen daily planet-wide that make us question whether we humans deserve to continue living on this troubled and endangered world. And yet, another Amish-related incident happened that makes us proud to be human beings and gives hope for us and our world. Some of the Amish parents and friends of the children who were shot attended the funeral of the man who had done this dreadful deed. They comforted the murderer’s family and friends, assuring them that they held no bitter feelings and that they had forgiven the perpetrator who too is a child of God, though a lost one. The Elder who was the spokesman for the Amish immediately after the shooting incident made this statement to the clamoring reporters: “We must forgive and move on.” Obviously that is what these deeply religious people have decided to do—forgive and get on with their lives. I think the Amish community of individuals is able to “move on” with forgiveness because of their understanding of the personal presence of a loving, merciful God and the reality of a spiritual aspect within each of us human beings. 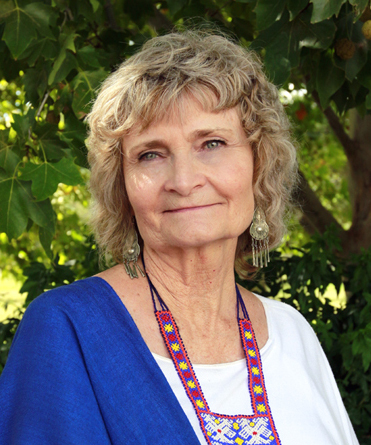 They can more easily live clean, peaceful, and environmentally-responsible lives because they realize and embrace some spiritual truths that are practiced in their everyday lives. 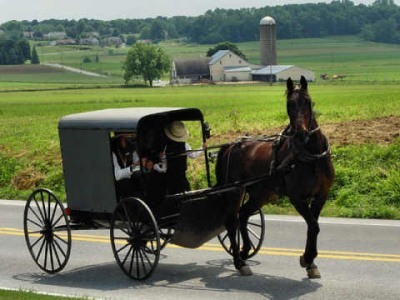 The Amish in the “Pennsylvania Dutch” areas have been part of the American landscape and culture since the seventeenth century. They, like most alternative groups and cultures, have in their history suffered for their different ways and lack of compromise with the more mainstream culture. But because the Amish have been around for almost 400 years they are not as persecuted as they once were. People got used to having them around, and their lifestyle has remained basically the same for centuries. They are not growing in substantial numbers; they are not considered political or social activists; and they do not participate much in the mainstream society. Basically, they mind their own business, obey the laws of the land, and are peaceful people. How the Amish have responded to this latest tragedy is indeed an inspiring model for all people on this strife-torn world to look at. Though the Amish live a lifestyle that may be considered by most “old-fashioned”—not using much (if any) machinery or technology and not being influenced by changing trends of dress and other aspects of our fashion-obsessed dominant culture—they have shown that they are more progressive than many. I think that probably any individual or group who has a degree of understanding of some true spiritual meanings and then puts them into practice is considered “progressive” within the realms of the celestials. Now, that does not mean that all religious people are progressive, for note that I stated if they have an understanding of true spiritual meanings and put them into practice. As many individuals realize, many who tout religious language have no or very little understanding of the true nature of God and divine principles, and they most certainly do not put into practice those divine laws, though they talk a good religious talk. The term “progressive” then applies to any idea, decision, and action that contributes to the actual moving forward of an individual, group, society, or civilization, progressing towards divine pattern which is found on the three levels of reality—material, mindal, and spiritual. In order then for true progress to happen, there has to be spiritualized meanings and motives behind all decisions, whether in politics, religion, education, medicine, business, science, the arts, architecture, construction, or any other area of life. Within that context we can better understand the statement in The URANTIA Book that “progress is the watchword of the grand universe.”1 Unfortunately, the word “progress” has been cheapened by applying it mainly to financial gain, regardless of the costs to the environment, individuals, and society in general. I all too often hear: “You can’t stop progress,” when discussing the harmful effects of overdevelopment in an area without concern for the negative ramifications on the surrounding community and natural environment. Irresponsible and unethical growth and development are not progress in the true meaning of progress. Lah-May goes on to say in her article that actual progressive leaders seek, “in humility, what the all-knowing, all-present, all-powerful Creator is trying to lead them to do for the benefit of all of His creation. Progressive leaders consider the whole of creation and apply that radical concept in every area of decision-making. A civilization that sustains life, love, cooperation, peace, and well-being for all people will need leaders who are the most spiritually-advanced. Those who are the most spiritually advanced, don’t concern themselves with religious traditions, dogmas, political parties, or other separating belief systems. They’re concerned about people and their souls. They realize as leaders they are responsible for the development and actualization of those the Creator has entrusted them with.” Note that the souls of people must be considered. In a true progressive civilization, the well-being of persons includes their material and psychospiritual status. The Amish people’s acts of kindness, gratitude, humility, ministry, love, and forgiveness in the face of unjust brutality reflect some very important basic divine principles that should be practiced on all levels of conflict and confusion—whether within a family, a neighborhood, town, country, or internationally. These people of strong faith are true followers of the greatest Peacemaker of all who walked this world—Jesus. They, as Jesus would today if He were present in human form, allow the peace of the spirit to reign in their hearts and minds in spite of the crazed ways of retaliation that plague this planet. In a civilization of light and life, retaliation is not considered progressive. In fact, it is considered primitive and barbaric. How quickly those in our consumer-driven dominant culture grab up the language of the more progressive people, often referred to as the “cultural creatives.”2 Those caught in the system of mechanistic materialism incorporate the language of cooperation and kindness into the regular rhetoric and jargon of their advertising and politicking, within the framework of their motives of selfishness, greed, and short-sighted visions. Words that had beautiful and inspiring original meanings are now cheapened as they become part of the newest fad or trend that continues to keep our civilization on its mad course of destruction. The Amish may not be scientific or economic giants, but they are indeed giants in ethics and practical peacemaking. But they too need to make changes if they are to be part of the new civilization of light and life that will manifest at some future time. They are a beautiful culture, but their culture must become even more progressive, more proactive if they are to become powerful change agents in helping to reshape our world. In these times of the adjudication of the Bright and Morning Star versus Lucifer there must be confrontation of evil, just as Jesus openly and in righteous anger confronted the unethical and greedy business people in the courtyards of the synagogue and later the religious and political leaders who used the name of God to serve their own agendas that perpetrated a broken social and religious system. Change agents shake up the status quo, which definitely needs shaking up. In the last twenty-five years numerous books have been written by progressive people of vision who understand at some level the seriousness and complexity of the world’s problems and realize that the dominant, economy-driven culture in control must be reshaped and restructured in order to save this world from ecological devastation and/or nuclear holocaust. Many of these progressive people realize that spirituality must be applied in all areas in order for a more cooperative and compassionate civilization to emerge. We change agents of Divine Administration make some people nervous, even angry in our culture-building, exposing of wrongdoing, educating of higher spiritual principles, and giving a vision of a civilization of light and life. Our existence makes some people uncomfortable because truth expressed in community living and in written and spoken language that encourages rethinking, reshaping, and restructuring shakes comfort zones, and many don’t want to think or act outside of their established boxes. For those who do want to jump out of their boxes, they are inspired by change agents (of Global Community Communications Alliance or otherwise) and aspire to become “cultural creatives” themselves. Jesus said to be in the world but not of it. What does that exactly mean? What does that look like? I think that the Amish, in their decisions to remain simpler in their lifestyles and not be part of the industrialization and technolization of modern society, believe that is how they are in the world but not of it. And it is true that with industry and technology have come many problems, but also with this modernization have come many solutions to solving major problems in a fast-growing planetary population. Along with the horrors of modernization are the wonderful achievements. In every era, every generation there are the good and the bad that come with material and intellectual advancement. If spiritual meanings are not brought in and practiced in this advancement, then problems and horrors do arise. As I wrote in an article published in the Alternative Voice a couple of years ago: “We humans are a mass of inconsistencies and contradictions. It seems that we have within us the capacity to hate just as intensely and deeply as we can love, and we can be just as cowardly and compromising in our dishonesty and greed for power and materials as we can be courageous and noble in our willingness to put our lives, and egos, on the line for ethical and moral ideals.” I go on to state that if humans do not tap into the spiritual circuitry innate within them, they can become crazed and brutal, or indifferent to other people’s suffering. “If an individual, or group, or culture does not build ideals and values on spiritual reality (not human religious doctrine), then most humans will show their teeth in a brutish manner when scratched or squeezed,”3 as many have done towards us in Divine Administration, and as they did towards the Amish decades ago before the mainstream was comfortable with their presence. It has been said that “what we do in the world flows from how we interpret the world.”4 I say that individuals’ understanding of circumstantial reality and our memories of events are influenced by our premises, perceptions, and prejudices. If persons do not have an expanded understanding of spiritual principles or scientific data and are full of fear, resentment, disgruntlement, dissatisfaction, and so on, imagine how they perceive the world and their circumstantial reality. Scary isn’t it? If a leader of a nation surrounds himself only with people of one mindset, say of a military mindset or a religious fundamentalistic perspective, the decisions of that leader can be pretty destructive and out of God’s divine pattern. Walter Brueggeman, in his book The Prophetic Imagination, states: “It is the vocation of the prophet to keep alive the ministry of the imagination, to keep on conjuring and proposing futures alternative to the single one the king wants to urge as the only thinkable one.” Within that context Jesus was a prophet for He encouraged the ministry of the imagination and presented a vision of a much better world, what He referred to as the “Kingdom of Heaven,” that could happen through personal spiritual transformation of individuals which would eventually result in a manifestation of a kinder and more cooperative civilization that was founded upon divine administration principles. Global Community Communications Alliance and Church offers “New Millennium Spiritualution Thinkshops” for change agents. These are designed to expand progressive people’s understanding of divine administration principles that need to be implemented in every area of civilization. Terminology is introduced that is new or enhances already existing concepts that describe and define what a future civilization of light and life will look like. Just hearing or seeing some of the terms or “Aquarian concepts” can stimulate our imaginations, minds, and hearts to resonate with a vision of a world transformed by love, wisdom, courage, and light. Consider this language related to Divine Administration: planetary sacred home, destiny actualization, ascension science, the physics of rebellion, spiritual destiny mechanisms, CosmoSynchronicity, humility management, purity of purpose, ascension administration, cosmic focalized communication, cosmic wheel of interrelated destiny, CosmoPoliticos, individual actualization motive, starseed positional management, Starmotion, and Spiritualution. That’s just a smattering of the concepts that are expanded upon in these New Millennium Thinkshops.